Midnite Classic 150 or 250? I've building a Grid-Tie'd system, with a 2Kw Win turbine 3 phased 48 volts, with 4x 280Watts solar panels. I've been looking and learning for some time now, got everything except the chargecontroller(s), and I decided Midnite Classic is the one to get. It's even cheaper than the original chargeregulator for my win mill. And the original comes with a emergency brake which I am no fan of. It'll have to be the standard Classic, no SL when using Win Turbines, but which Classic would be the right one do you think? I'll add more panels in the future, and a homemade Win Turbine too. Or maybe a little cheap chinese just to see what happens.. I'm guessing it's a question of amps versus volts.. And the way I connect my panels. This is why I wanted to ask you in here. Re: Midnite Classic 150 or 250? http://www.midnitesolar.com/sizingTool/index.php to get the answer to how to design your array(s). don't know anything about Wind turbines... sorry. Wind turbines NEED an emergency brake. Either a shorting plug that loads the alternator so much it can barely turn, or a disc brake off a motorcycle, or a volleyball net on a rope you can throw over the blades. If your batteries become full, and no longer require a charge, the turbine will be unloaded, freewheel and reach excessively high RPM's and grenade . That seldom ends well. Belt, suspenders and a volleyball net ! 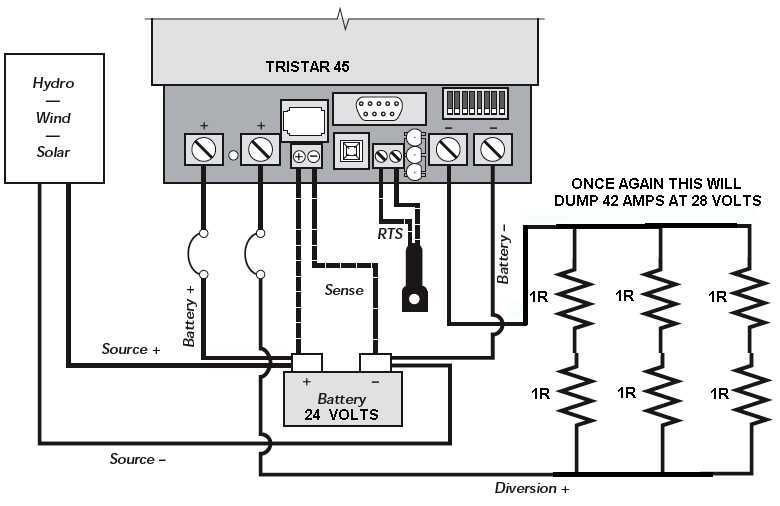 The turbines charge controller is an additional controller to the Solar PV controller, you need a controller for each. I did my Midnite Classic model 200 and it's here in the country now, at customs. Just paid the tax and it's be here in a couple of days. At last... I've been waiting forever! Thanks for your help. I'm looking into this right now. 1. Regarding the upcoming Grid-Tie inverter, Robin Gudgel is quite right! We either have to choose between the expensive hardware from Scneider or the cheap "WYSIWYDG" products. "WhatYouSeeIsWhatYouDontGet"
2. I couldn't get the link to the sizingtool to work, but I'm trying to find it elsewhere. "...Wind turbines NEED an emergency brake. Either a shorting plug that loads the alternator so much it can barely turn, or a disc brake off a motorcycle, or a volleyball net on a rope you can throw over the blades..."
I didn't explain this well, I know. I know about the freewheeling, and that this is a no-go. A little explanation of what I meant and why I don't much care for the shorting of the phases and this combi electrical/mechanical braking resulting in stressing your turbine in the worst way possible. What I'm trying to do now, is to do this automatically. Meanwhile all of this, I learned about Midnite and their box/system which does all this I believe. But I've been told it's very expensive, so I'm building my system anyway. I've been doing this with a Arduino and a Raspberry pi. I prefer using the raspberry pi for this little project. It's been a challenge getting the ModBUS controlled by the GPIO's/Python but I'm getting there. "...Midnight used to have a Wind MPPT curve for their controllers, which is different for each wind turbine mfg.."
If you have not seen the above, this is a bit of a start. Design amps, voltages and rpms vary so much between mfg's, they all need their own. Thanks man. I need all the help I can get... And I received my midnite today.. Looking forward to get it hooked up. Just need to find the right size of dumpload. Then I just need to fill it out right. I'm not sure about the voltage I have to enter, because it's not specified if its AC or DC, if it's single phased calculation or what. I've got the specs here. It says 48Volts and 40Amps. Well, all the Midnites are within that range. My Second wind turbine is a 24 volt. I can choose it as a 48 edition, but then the volts are getting up there, right. So if this second turbine is a 24 volt, then we are only at 72volts give and take. Then I shoul be able to connect a third turbine, a turbine which I'm building myself. Take a look at this for alternative wind control instead of dump load.